The 10 most popular governors in the U.S. are all Republicans, according to a newly released survey. Morning Consult's rankings of governors' approval ratings in the fourth quarter of 2017 showed Massachusetts Gov. Charlie Baker (R.) retaining the top spot with 69 percent approval, while no Democrats made the top 10. For each quarter of 2017, only Republicans appeared in Morning Consult's top 10 for approval ratings in their home states. Republicans also accounted for many of the least popular governors as well, with Chris Christie (R.) finishing his tenure in New Jersey as the country's most unpopular governor at 76 percent disapproval. Eight of the 10 least popular governors in the study were Republicans, although the least popular sitting governor is Democrat Dan Malloy of Connecticut with 68 percent disapproval. 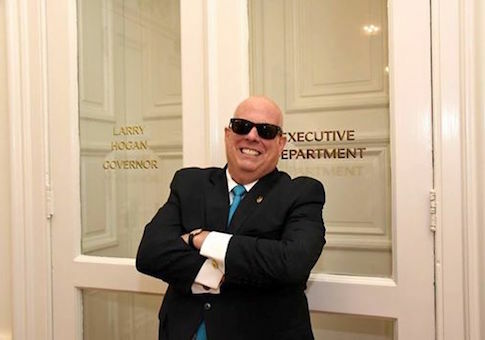 Republicans in blue states constitute a majority of the top five, with Larry Hogan (Md.) and Phil Scott (Vt.) just behind Baker in the second and fourth spots, respectively. Republicans control 33 of the nation's 50 governorships. Of the 13 Republicans running for reelection this year, 11 have a net approval rating. Only Govs. Scott Walker (Wis.) and Bruce Rauner (Ill.) are up for reelection as Republicans and had net disapproval numbers at the end of 2017. Rauner was the seventh least popular governor in the country with 55 percent disapproval and just 31 percent approval. Walker was the ninth least popular, with 43 percent approval and 50 percent disapproval. The highest ranked Democrat was Louisiana Gov. John Bel Edwards, who was 15th on Morning Consult's list with an approval rating of 57 percent and a disapproval rating of 27 percent. This entry was posted in Politics and tagged Chris Christie, Governor, Maryland, Massachusetts, New Jersey, Republican Party, Republicans. Bookmark the permalink.